An AP investigation found that the South Korea government attempted to 'purify' the streets by forcing many into slave labour ahead of the 1988 Olympics. Some posters, over the years, have gone on to read hundreds of books, meet and struggle with steadfast comrades, and participate in remarkable experiences while serving the people. With all do respect - as you have been posting here far longer than me - I have to ask: How has this forum contributed to your personal development? ah, the perfect opportunity to put theory into practice presents itself *draws in a deep breath*: "post the steampunk wedding pics goat!" You're right. American socialists should throw themselves on the mercy of the capitalist marketing associates and hope that they give them a fair shake, or at least the same even-handedness that they show the DPRK. juche is an ideological dead-end to the extent that it even qualifies as an ideology? goat, asians aren't just "squinting really hard".... ban this chucklefuck. I think this thread is falling into a certain sort of trap. Certainly, it's important to establish that propaganda about North Korea is insane and filled with blatant lies. However, just doing this and or rather focusing on this at the cost of other forms persuasion is IMO counter-productive. This is because it does not address the reason why people accept these lies and as the result of this, falls into the trap of endlessly trying to prove things we can't. If the acceptance of these lies is really akin to a sort of mental illness, than it is obvious that we can't argue people out of that illness. 1. During the Korean War, Western Imperialism murdered millions of Koreans. Our governments and our societies still have not apologized. 2. Our governments and our societies actively whitewash Japanese war crimes and the history of colonization. We go as far as erasing the crime of sexual slavery with euphemisms like "comfort women" and making deals over the heads of the Korean people to "settle" the issue "once and for all." Politicians in power in both South Korea and Japan have connections to these crimes, and are themselves symbols of the refusal to honestly confront these issues. 3. Koreans die because of economic sanctions. Dispensing food aid while maintaining these sanctions is the equivalent is keeping someone at the brink of death in order to further torture them. The crime is taken farther when we lie by pretending it's for their own good. 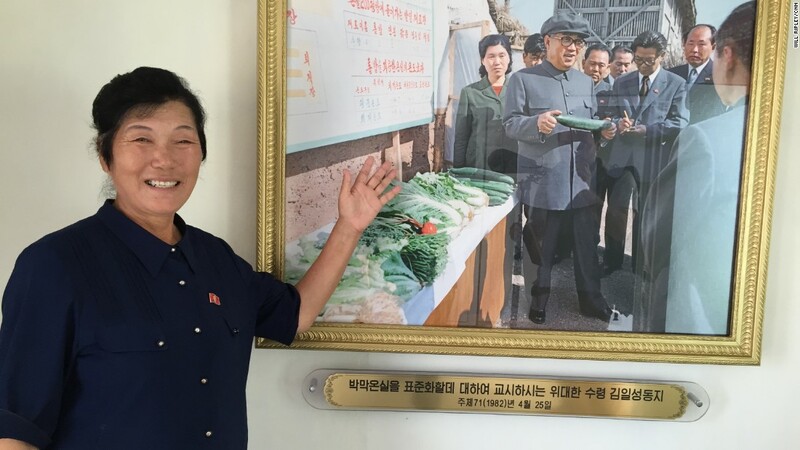 If the North Korean government is really oppressing its people, then we are cruelly fostering their dependency on the government and sabotaging possible bottom-up resistance. 4. Both the rights and wealth of the first world working class are built upon the struggles of workers worldwide. These include the struggles of Korean workers. The only two countries in the world to achieve development within capitalism in the last century are Taiwan and South Korea. This would have been impossible without the victories of neighboring real existing socialist states and the efforts of the masses throughout East Asia. The collapse of real existing socialist states and recent loss of our wealth and rights are not a coincidence. 6. The economic collapse of North Korea in the 90s was not due to internal contradictions, but due to the collapse of socialist states worldwide. In fact, the North was ahead of the South by all measures of development (afaik) until the 80s. And again, South Korea owes North Korea and real existing socialist states for its development. Of course, this too is a kind of argument. But if we ourselves are authentically involved in the struggle and have the discipline to provide leadership in Marxist Leninist fashion, then these facts become building blocks for a world that we can invite others to be apart of. We all know this is easier said than done. Our world certainly is not lacking in darkness. But I have faith that it will never be as dark and as lonely as the insane world of people who accept this propaganda. If you haven't read anything on juche, what have you read on the DPRK in general? Generations of students have been taught that the American Revolution was a revolt against royal tyranny. What this book presupposes is, maybe it wasn't? That actually seems like a good and interesting book. this doesn't even seem to have a point but it inadvertently shows off the DPRK's lovely solar panels and thriving food production???? Rhizzone poster: once again, we see western propaganda reduced to the lies it always was. The Corean people ar e farming big, juicy cabbages in suits. Meanwhile, the western imperialist nazi dog doesn't even wear suits anymore. Hje just hangs out at 7-11 and bullies me when I try to buy big gulp. 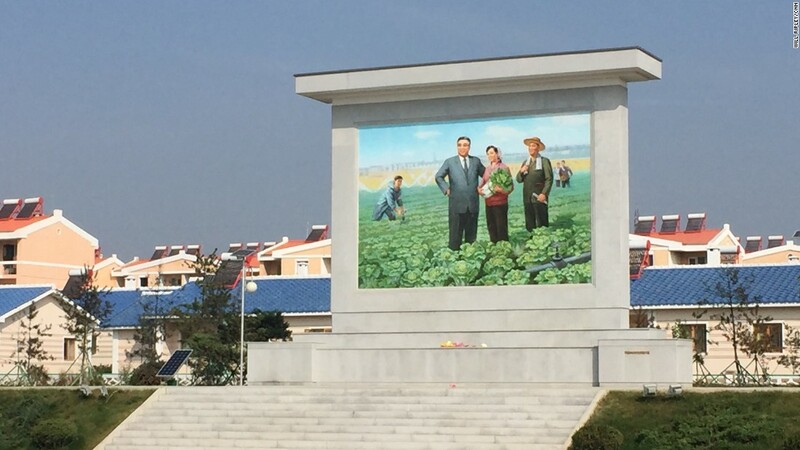 If you'd bothered to click the link and read the caption before treating us to your traditional snark, you'd know that mural is located at the Jang Chon cooperative farm, and it looks like another banner year of crop production to me. In fact, the next slide in the series shows us the markets are plush with fresh produce.